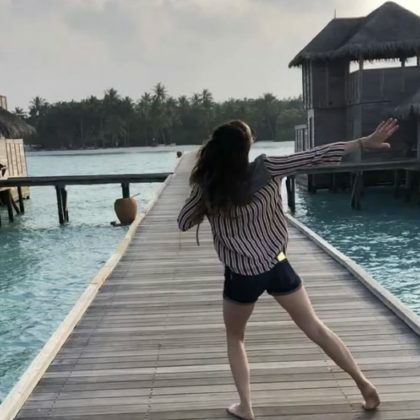 “Wait is this me or misty copeland?” is what Whitney Cummings teased as she twirled down a dock at Gili Lankanfushi Maldives in December 2017. 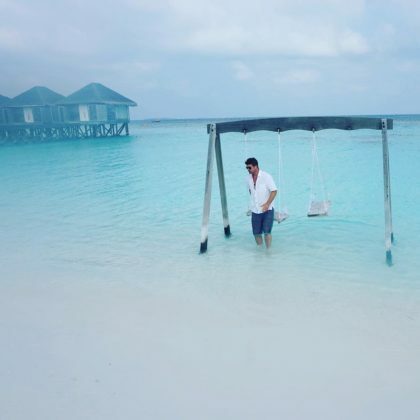 Shay Mitchell sat on a swing while on the grounds of COMO Cocoa Island, The Maldives in November 2017. Alessandra Ambrosio﻿ said it was “So exciting” to be in Malé in September 2016. 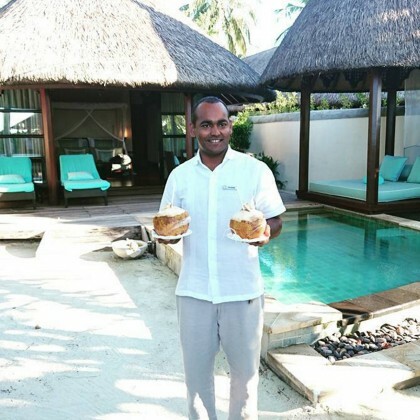 Floyd Mayweather enjoyed his retirement by vacationing at the Four Seasons Resort Maldives at Landaa Giraavaru in April 2016. He said he stayed “in the best of the best, a 3 bedroom Landaa Estates, where I wake up to my very own private beach” and also did some stand up paddle boarding. 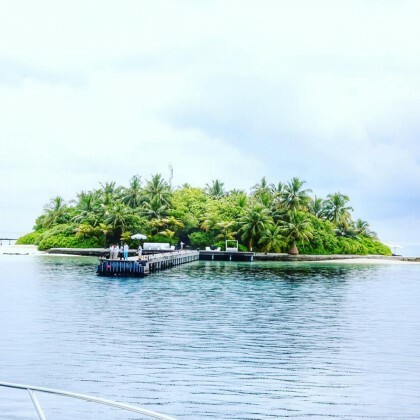 Stephanie Pratt checked off all the essentials when she was at the Four Seasons Resort Maldives at Kuda Huraa in December 2015: a “Suite w private pool & beach . . . bff lucy . . . fresh coconuts” and a smiling server.